Chocolate Bells: These bells are a medium to large, very smooth, three to four lobed fruit that have a unique chocolate look when mature. 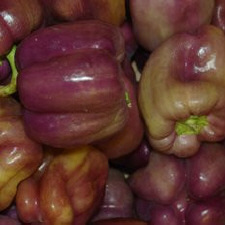 The fruit is extremely sweet and is a very tasty pepper. 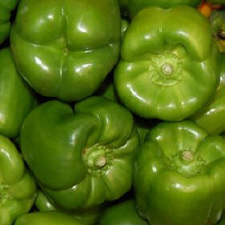 Green Bells: Green bells, along with the other colored bells, can be used raw, cooked, roasted or in vegetable platters. Bells can be frozen without any preparation, except seeding and slicing, but the texture will be a bit wimpy. Orange Bells: When preparing raw sweet peppers, remove the stem, seeds, and webbing or membrane before cutting into strips or rings. 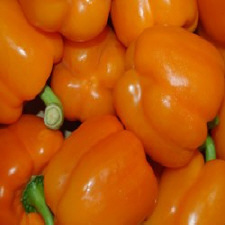 Bell peppers like cool, not cold temperature, ideally about 45ºF to 50ºF with good humidity. 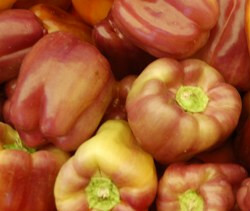 Purple Bells: This pepper is a deep, midnight eggplant kind of purple. Purple bells keep their color when cooked. 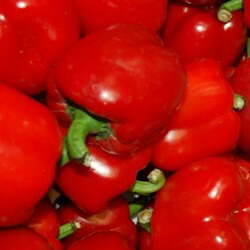 Red Bells: Red bell peppers are green bells that have matured. Green bells will not mature once they have been picked. 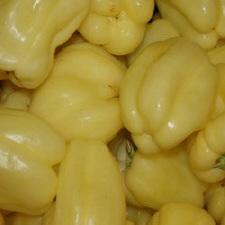 White Bells: These white (or albino) peppers are great for gourmet salads. This sweet bell pepper will stay white for a long time before turning red. 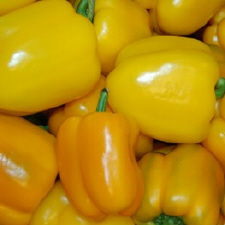 Yellow Bells: As peppers mature, their sugar content increases, so they become sweeter, and develop more nutrients, primarily vitamins A & C. When roasted, the pepper flavor intensifies, and it will eliminate the skin, which some find indigestible.